An aging, skateboarding veterinarian Sir Billi goes above and beyond the call of duty fighting villainous policemen and powerful lairds in a battle to save an illegal fugitive - Bessie Boo the beaver! A heartwarming and action packed family movie where thrilling car crashes, heroic skydiving and daring stunts from this octogenarian, fueled with encounters with a hostile submarine, will keep you at… the edge of your seat! 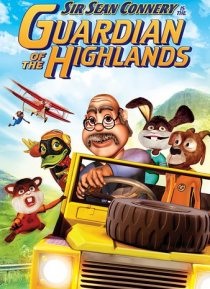 Everyone wants a grandpa like Sir Billi, the Guardian of the Highlands!